August, east of Miami-Dade County, approx. 11,000 condo listings with average asking price just over $1 million, or $572 per square foot, according to Crane Spotters. Inventory buildup like this is has caused some major developers to put some projects on hold. 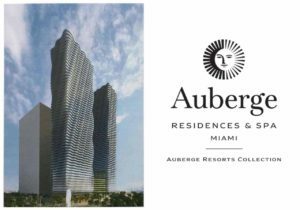 The Related Group, considered South Florida’s most prolific and well-capitalized condo developer, has quietly delayed its massive three-tower Auberge Residences & Spa Miami project amid stagnating sales in August. PMG to delay its launch of 300 Biscayne, a planned supertall condo tower approved by the FAA last year to hit 1,049 feet it would be the tallest building in Miami today. There has been a decline in the average price per square ft, the first in 5 yeas, in the downtown Miami condo market. Cause? more than 3,000 active listings in the Greater Downtown Miami are alone. An additional sign comes from, second-quarter data from Miller Samuel Inc.,Real Estate Appraisers and Consultants, the number of closings for homes and condos priced between $1 million and $2 million fell 17 percent year over year, from 358 properties to 296. Homes between $2 million and $3 million fared even worse, with sales dropping 36 percent, from 131 to 83. Although the majority of Miami’s preconstruction pipeline is presold, the problem is that some projects have leftover units, in a now soft market, struggling with oversupply and a staggering drop in sales volume since 2015. Local housing market has relied on foreign investors, and with the dollar trading high, it is the biggest reason that the robust condo market is on hold. Some projects are waiting on their inventory being absorbed, while others are being proactive, raising commission to entice brokers, and sometimes lowering the deposit requirements from 50%. A gold standard which they discovered could prevent the condo housing collapse of the past which only required 20%. In March, North Miami Beach’s Marina Palms 468 condo project, had 40 units left and boosted commissions to 7 percent from 6 percent to help clear them out. 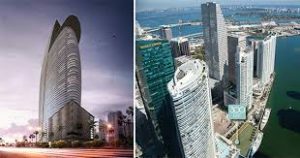 In January 2016, Related raised commissions to 10 percent at the Brickell Heights 02, which was 89 percent sold out, and SLS Lux, which was 95 percent sold. However many developers are already planning for the future by quietly making land purchases for new developments.